Australia’s Revolving Door for Prime Ministers, and Copyright Modernisation: How are they Connected? Author hughstephensblogPosted on October 29, 2018 November 3, 2018 1 Comment on Australia’s Revolving Door for Prime Ministers, and Copyright Modernisation: How are they Connected? FairPlay Canada, the CRTC and OpenMedia: Who Got the “Big Win” on Pirate Site-Blocking? Author hughstephensblogPosted on October 23, 2018 October 29, 2018 5 Comments on FairPlay Canada, the CRTC and OpenMedia: Who Got the “Big Win” on Pirate Site-Blocking? The Ius Imaginum of Ancient Rome: Was it the first Copyright Law? Author hughstephensblogPosted on October 9, 2018 October 14, 2018 1 Comment on The Ius Imaginum of Ancient Rome: Was it the first Copyright Law? Did Google Astroturf Group Fail to Report Copyright Lobbying to Canadian Authorities? I recommend this blog from David Lowery’s The Trichordist to readers of my blog. A few weeks ago this blog on the website of Michael Geist caught my eye. Michael Geist is anti-copyright activist/professor at University of Ottowa and I generally try to keep up with his writings. 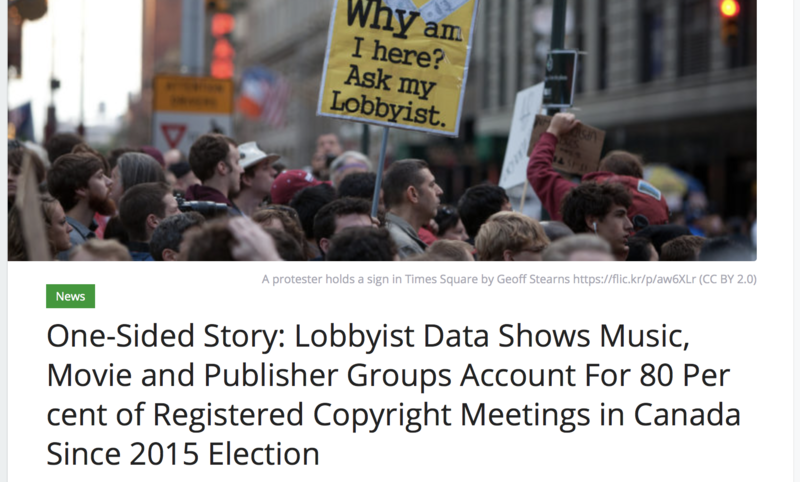 In this blog he claimed that lobbyist data showed groups representing artists and other copyright holders represented the vast majority of registered copyright lobbying meetings with Canadian officials. Registered is the key word here. Bookmark that and we’ll come back to it in a minute. Author hughstephensblogPosted on October 1, 2018 October 1, 2018 Leave a comment on Did Google Astroturf Group Fail to Report Copyright Lobbying to Canadian Authorities?